First of all, No, I will not be talking about the town we have an odd obsession with. I wish to speak seriously for a moment. Our guild is in dire straits, and I do not exaggerate this; our leaders have next to vanished due to real-life issues, and those that were left in control have not been able to get on enough nor have the authority to create raids in their absence, leaving a once brimming calender bone dry. This dramatic change has begun to affect the guild in troublesome ways. 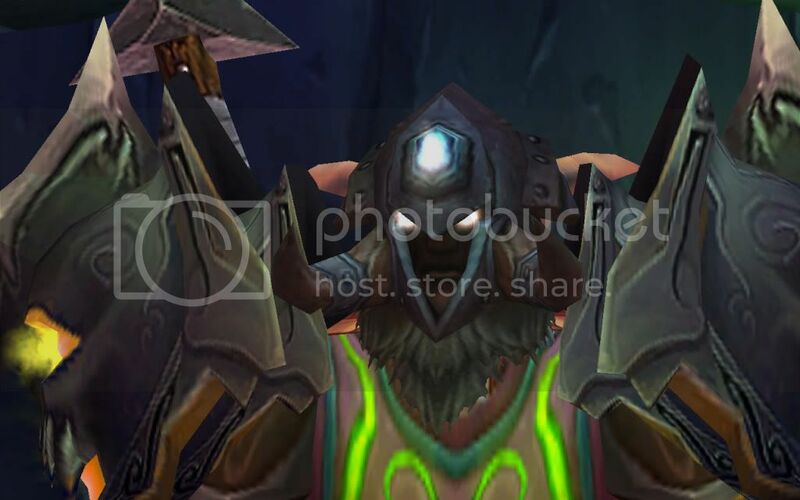 Just in the pass two days, we have lost three of our finest members: Viggtarsky has transferred servers, Bubbletroubl has quit WoW, at least until Cataclysm releases, and just tonight Achingtree left the guild, citing that it was pointless to stay in a guild that did nothing. Unfortunately, many of our remaining guild members, myself included, share his sentiments. I fear that, unless Muj and Ross can somehow return to the game and re-take the helm of this aimless ship, the Alliance of the Steadfast will soon run aground. I sincerely hope that I am wrong, but I can see no other alternative given our current path. That being said, if you still have hope for this guild, and trust that it may once again rise from the ashes and return to its former glory, I ask you to hold your ground for as long as possible. At the same time, however, I entirely understand if you decide to leave; we all have goals and agendas, and we should do everything in our power to achieve them. The choice is yours. As for me, as a loyal contributor and proud member of the Alliance of the Steadfast, I will hold my position until the final ember dies. P.S. To Muj and Ross: I am sorry if this has upset you, but I felt that it is wrong to ingnore the truth for so long. I pray everything works out between you two, whatever it is. Ross and Muj have been unable to log on due to their computers being confiscated. Ross logged on tonight, but unfortunately I missed her. Muj is still rogue. I would also like to take this opportunity to say farewell to one of our best guild members and a very good friend, Obeewan (though now going by Wargasm and having a somewhat slimmer form), who left the guild tonight. You are a very friendly and entertaining man, and I wish you only the best in your future endeavors, both in WoW and beyond. You will be missed. I apologize for my long silence, which apparently has caused problems for the guild. Ross confiscated my computer (you can email her as to why), and I emailed Mentat about it. Unfortunately, I don't know when Ross will be returning to the game. I will probably be back in December once I move out. All I would ask is that if members choose to leave, leave together and join a new guild as a group. Schedule a meeting for a Sunday or whenever and vote on it if need be. I recommend talking to either Nicki and Mallenn from Genesis about joining them. I like the atmosphere of their guild and how their players are (no drama fun raiding ftw). When I do return I would be happy to follow where ever it is our members have chosen to go. In all seriousness, thanks for at least acknowledging us. It means a lot. And I'm sorry to hear things haven't worked out between you guys; best of luck in the future. i posted my reply i our forums, and I do not feel my comment is appropriate for the newspage.